RAILROAD.NET • View topic - MBTA Red Line 01400 Cars at Seashore need YOUR Help! If anyone wants to help see bright shiny 01450/01455 Red Line cars at Seashore. Please contribute. There has been a small group making these cars operational once again. Re: MBTA Red Line 01400 Cars at Seashore need YOUR Help! Holy crap, that OK Cola ad takes me back. That's almost as special/rare as the units themselves! You guys have been doing a great job. I highly recommend members here to follow along on their Facebook page. Through the hard work of a dedicated bunch of guys, the 01400s made their grand operational debut last weekend at Rapid Transit Day at Seashore! While the outsides looked a little rough, the insides cleaned up perfectly! Crowds were genuinely excited to take a ride in the commodious Bluebirds! They took two back to back trips filled with eager fans. Great to see the Bluebird Revival at Seashore !! Major Kudos to the crew up there !! Last edited by CRail on Fri Oct 13, 2017 1:02 am, edited 2 times in total. Reason: Redbirds are from New York. 01400s are Bluebirds. I second what BowdfoinStation said. 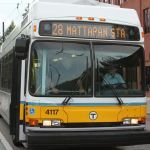 For me it was after a 40 year hiatus, last having ridden them in 1967 to a summer job at Central Sq. Cambridge. Interestingly at STM was the first time I had ever ridden them in the red/white color scheme.